For as long as television has existed, there's been more than one system. After all, almost every country will tell you that they invented it! At least the migration to digital gave us the chance to do away with all that. Not a bit of it. We've kept all the different frame rates and image sizes of course, and added new ways of encoding them. But at least the evolution to hig-definition will allow us to have just one global system. Oh no. Each standard definition digital system comes with its own hi-def flavour. The result is that while Europe at least has settled on one basic system for terrestrial and one for satellite, there are around the world more or less as many different digital standards as there were analogue. DVB has a lot in common with DAB, with which it shares many technologies. A number of different services ride together on a multiplex. The use of OFDM means that the system has a higher resistance to multipath than analogue transmission. 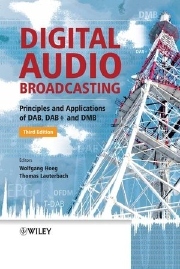 Like DAB, DVB-T is capable of being transmitted in Single Frequency Multiplexes. 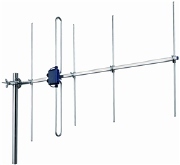 In the UK, at the moment, the transmitters are operated as Multiple Frequency Networks.DVB-T is the terrestrial version, DVB-S for satellite broadcasting. DVB-T2 and SVB-S2 are recent developments that increase the data capacity of a multiplex - essential for the economical carriage of high-definition services. A number of DVB-T and DVB-S countries are introducing DVB-T2 and DVB-S2 as part of their move to high-definition. New receivers are necessary in order to receive DVB-T2 and DVB-S2. In addition to television services, DVB-T and DVB-S can be used to transmit sound-only ("radio") services. In the UK it is estimated that a large proportion of "radio" listening takes place via the terrestrial and satellite DVB transmissions. The DVB Project is an international non-governmental organisation whose membership comprises broadcasters, transmission providers, professional equipment and consumer receiver manufacturers. Now in its tenth year of publication, Wohnort started out when the editor bought his first DAB receiver, the gorgeous Arcam Alpha 10, and started looking around the web for a single source of information about all DAB broadcasts everywhere. There wasn't one, apart from the official WorldDAB site, and so the Wohnort website was born. Cumbersomely named "DAB Ensembles Worldwide" the site was quickly noticed by industry insiders and enthusiasts and gradually became known simply as "Wohnort", a trend Wohnort did nothing to discourage. Unlike official sources, which have a tendency to reflect aspiration rather than grim reality, Wohnort's information has the advantage of being based mostly on direct observation, whether by Wohnort or by contributors. As it nears its tenth anniversary, Wohnort is now the most complete picture of DAB broadcasting around the world. American and Canadian broadcasting has a tradition of broadcaster-owned and operated transmission facilities. The broadcasters are not sympathetic to transmission systems such as DVB and DAB where a number of broadcasters share carriage on a single multiplex. Larger broadcasters who have inherited large areas of coverage from powerful transmission licences on favourable frequencies jealously guard the market advantage that this gives them. For this reason among others, the United States developed and introduced its own system, where each broadcaster continues to operate on its own channel. From the start, the system was developed with high-definition in mind, and HDTV is quite commonplace. The ATSC system still transmits multiplexes, but generally one service will be in high-definition, another will typically be a standard-definition version of the same service, and then there may be one or more additional services. ATSC generally does not work well in a cluttered downtown environment with buildings causing multipath. However, the system does appear work well at distances in the rural environment, and broadcasters appreciate the ability to claim a larger service area than might be the case with DVB. Nevertheless, for mobile reception, other technologies such as DVB-H have had to be deployed. In addition to the United States and Canada, ATSC has been adopted in Korea. There is a huge range of receivers for ATSC, comprising integrated television receivers, video recorders and computer USB devices. Digicomparison will concentrate on USB sticks and widgets that are likely to be of greater use to the international traveller. A unified Japanese standard for television and multimedia broadcasting using the UHF bands. Each UHF channel is divided into 13 segments. The broadcaster is permitted the flexibility of choosing whether to broadcast a single high-definition service occupying 12 segments, three standard definition services occupying 4 segments each, or one medium-definition service of 8 segments and a standard-definition service of 4 segments. The remaining 13th segment is allocated to mobile applications. The term 1seg refers to this 13th segment and has become a powerful marketing name. 1seg devices are commonplace in Japan. ISDB-T is the official digital broadcasting standard in Japan and has been adopted, with variations, in Brasil and Peru.